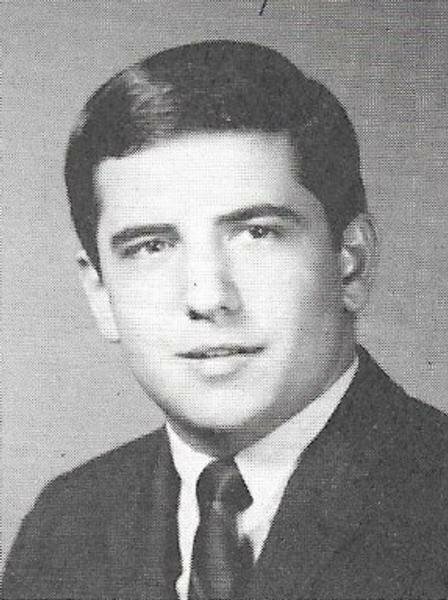 is honored on Panel 37W, Line 34 of the Vietnam Veterans Memorial. Thank you for your service as an Infantryman with the 1st Cavalry. It is important for us to remember all of you. It has been too long, and it's about time for us all to acknowledge the sacrifices of those like you who answered our nation's call. Please watch over America, it stills needs your strength, courage and faithfulness. Rest in peace with the angels. 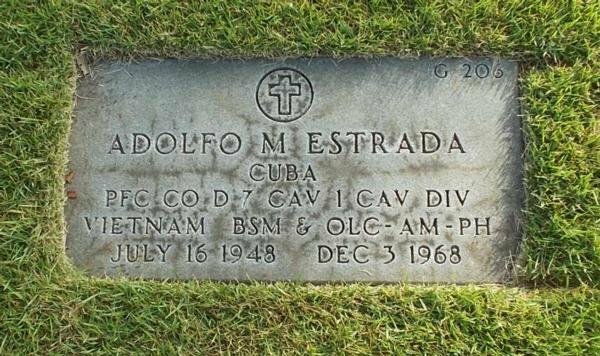 Private First Class Adolfo Medardo Estrada, Served with Company D, 2nd Battalion, 7th Cavalry Regiment, 1st Cavalry Division. EVEN WHEN I WAS JUST 4 YEARS OLD WHEN YOU DIED, I REMEMBER YOU EVERY DAY. EVERYONE USE TO SAY THAT I LOOK A LO LIKE YOU !!!!!!! AS A HUMAN BEING YOU WILL ALWAYS BE REMEMBER AS SOMEONE VERY SPECIAL FOR ALL YOUR CHARACTERISTICS. NOW I KNOW THAT YOU AND PIPA ARE TOGETHER LIVING THE BEST LIFE OF ALL AND TAKING CARE OF ALL OF US. TO MY OLDER BROTHER !! I DON'T REMEMBER YOU BECAUSE I WAS ONE YEAR OLD WHEN YOU LEFT .ALL I KNOW ABOUT YOU IS FROM PICTURES AND BECAUSE MY FATHER ALWAYS TALKED ABOUT YOU. WE USED TO GO EVERY SUNDAY TO THE CEMENTERY TO PRAY FOR YOU. ADOLFITO A GREAT SON AND HUMAN BEING WITH GREAT FEELINGS. NOW THAT OUR FATHER HAS PASSED AWAY HE HAS JOINED YOU FOR ETERNAL LIFE.